Seven Different Universes. A Million Chances To Die. One Way Out. In the near future the ultimate gaming experience happens while you sleep. OmniWorld is a shared dream state, fully immersive, and indistinguishable from reality… with multiple universes ranging from a wonderous medieval world to a futuristic spacefaring universe to a brutal land that recalls the Old West… In OmniWorld, your wildest dreams become reality. As Justin battles through multiple worlds of adventure, he realizes that there’s a lot more at stake than just his life. If he can survive, he may discover the true nature of OmniWorld. But if he fails, his reality will unravel and his dreams will become nightmares…permanently. 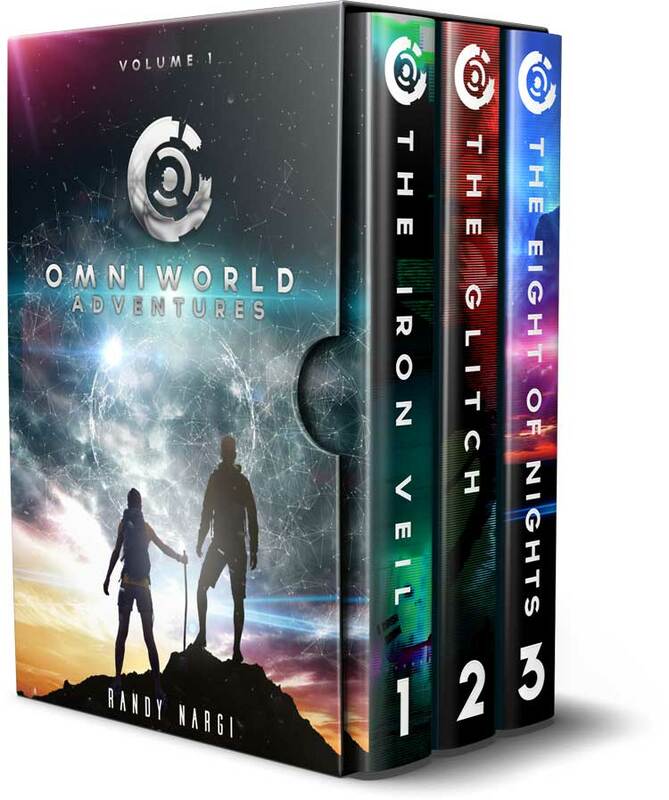 This deluxe box set includes two full novels: THE IRON VEIL and its sequel THE EIGHT OF NIGHTS, plus the short story THE GLITCH, an Extended Epilogue, maps, and author’s notes. ★★★★★ If you have ever spent a sleepless weekend playing D&D, this is a book for you! ★★★★★ A fun take on LitRPG that keeps the technical gaming jargon light, making it accessible to all people. ★★★★★ It has a WoW meets Clancy feel to it. I am looking forward to the next installment. ★★★★★ Strong storytelling and compelling characters throughout and a fast, fun style that makes it hard to put down!